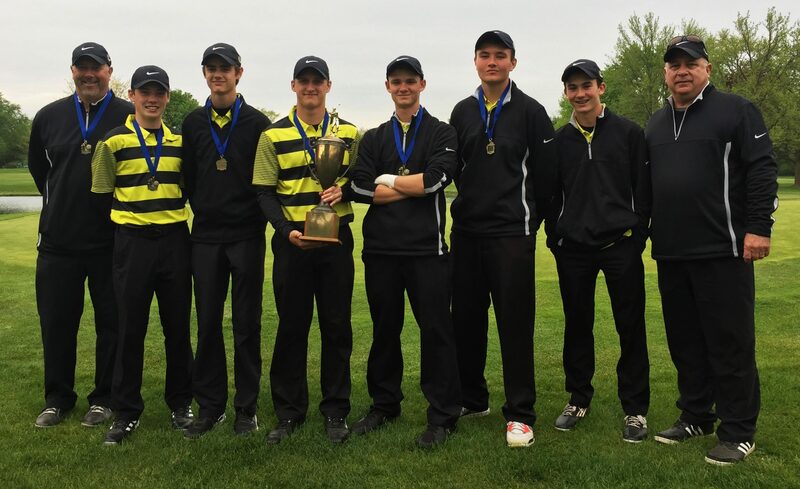 Penn captured first place in the Kaeppler Invitational in Boys Golf competition on Friday, April 28. The Kingsmen edged South Bend St. Joseph by two strokes — 322-324 — for the trophy. TEAM SCORES: 1. PENN 322; 2. South Bend St. Joseph 324; 3. Granger Christian 331; 4. Marian 352; 5. South Bend Adams 360; 6. South Bend Riley 369; 7. Mishawaka 406; 8. South Bend Clay 467. PENN (322): Ben Szklarek 81; Zach Hale 82; Grant Wargo 80; Baz Furry 79; Seth Campbell 86.